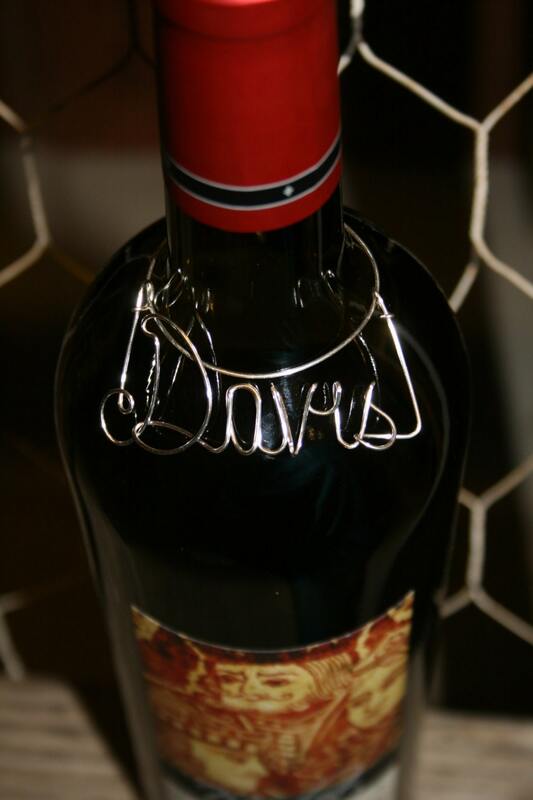 Handmade Wine Bottle Charm For Your Wedding or any Special Occasion! Any Name or last name or short phrase. I love this! Very well done and a cute little addition to the gift bottle of wine we take to a hostess.